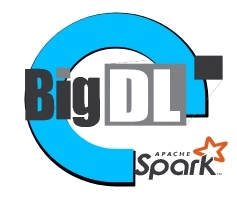 BigDL is a distributed deep learning library for Apache Spark; with BigDL, users can write their deep learning applications as standard Spark programs, which can directly run on top of existing Spark or Hadoop clusters. Create deep learning applications for Apache Spark and BigDL more quickly using neural network APIs, built-in models, and a library of reference guides. BigDL is a distributed deep learning library for Apache Spark; with BigDL, users can write their deep learning applications as standard Spark programs, which can directly run on top of existing Spark or Hadoop clusters. To makes it easy to build Spark and BigDL applications, a high level Analytics Zoo is provided for end-to-end analytics and AI pipelines.